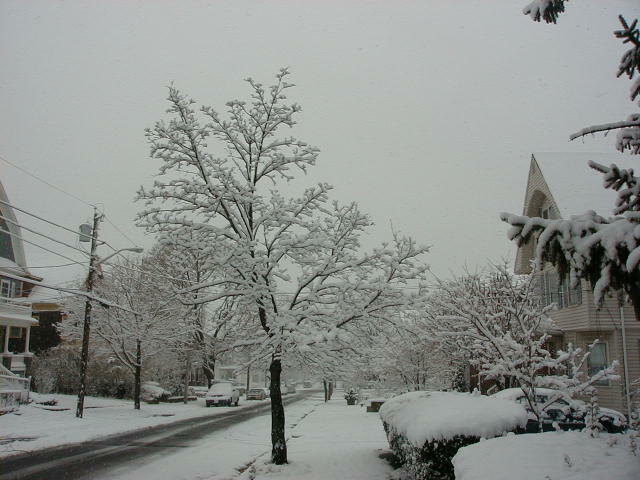 Two nights before Thanksgiving 2002 (which fell a bit late in the month that year), the Boston area got its third significant snowfall of the year. (The first was before Hallowe'en.) 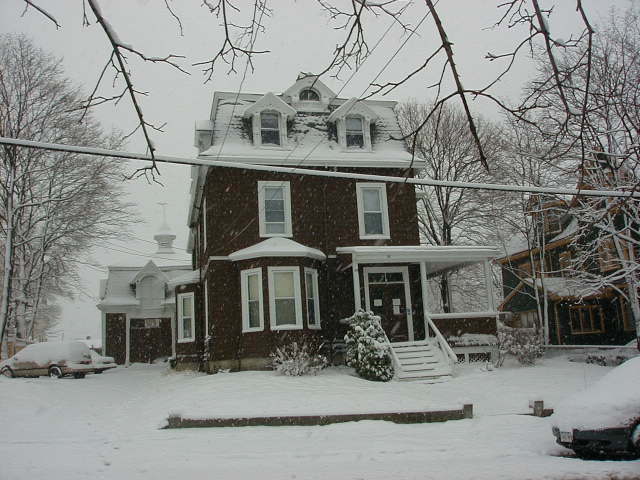 Here's what our house looked like the following morning. 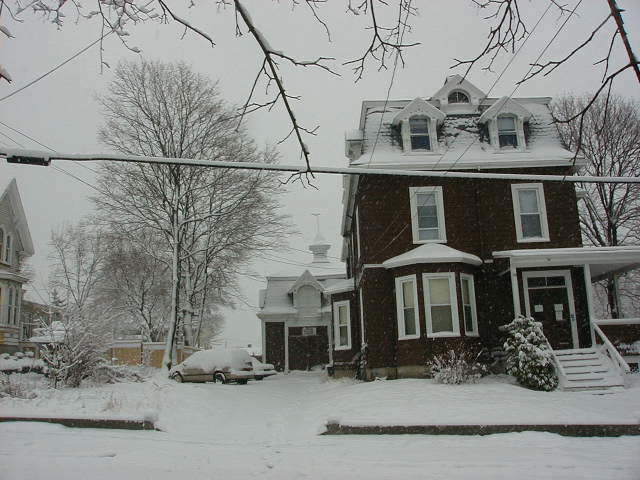 Our house in Malden and environs, the day before Thanksgiving, 2002. Copyright (c) 2002 by Jay Sekora. All rights reserved. 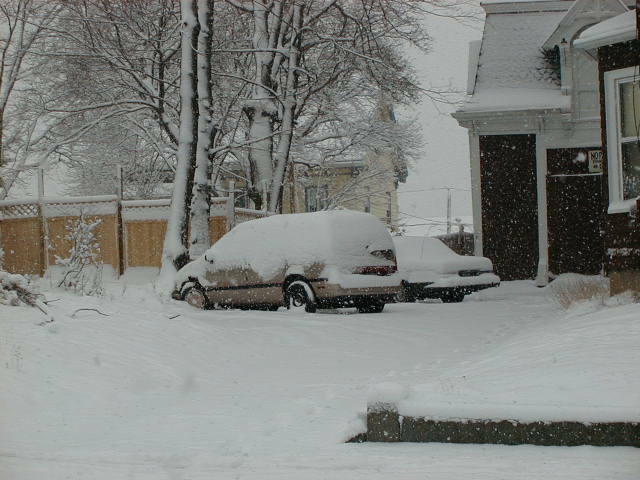 Snow-covered cars in our driveway, the day before Thanksgiving, 2002. 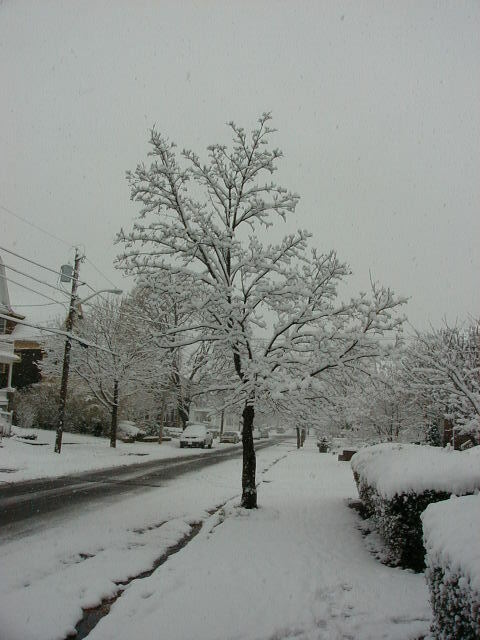 A tree across the street from our house in Malden, the day before Thanksgiving, 2002.